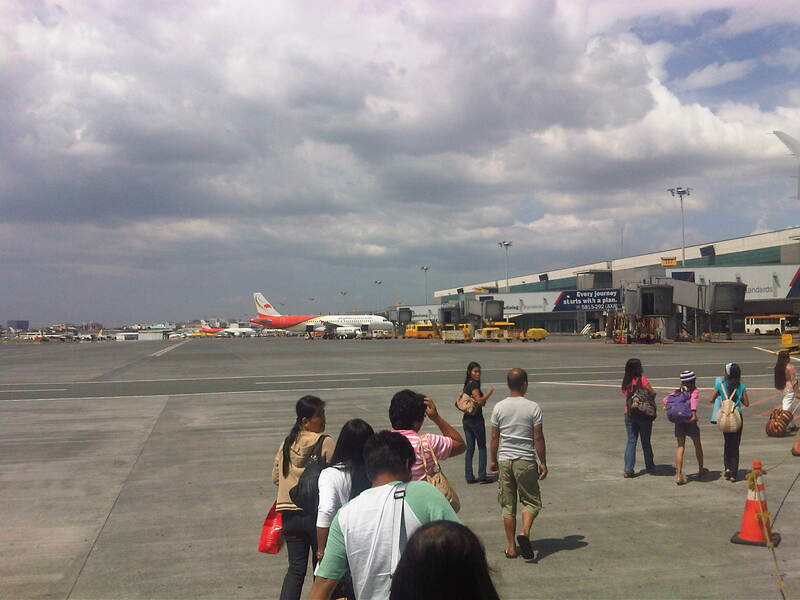 Arriving at NAIA, aircraft may proceed to one of 4 terminals operating at the complex – Terminal 1 (international), Terminal 2 (international and domestic flight operated by PAL), Terminal 3 (Cebu Pacific, PAL Express and Air Phil Express and ANA of Japan). Despite the fact that the airport is fully equipped for servicing aircraft, most equipment apparently are not being used for various reasons including preserving such equipment for when the terminal will be in full operation. 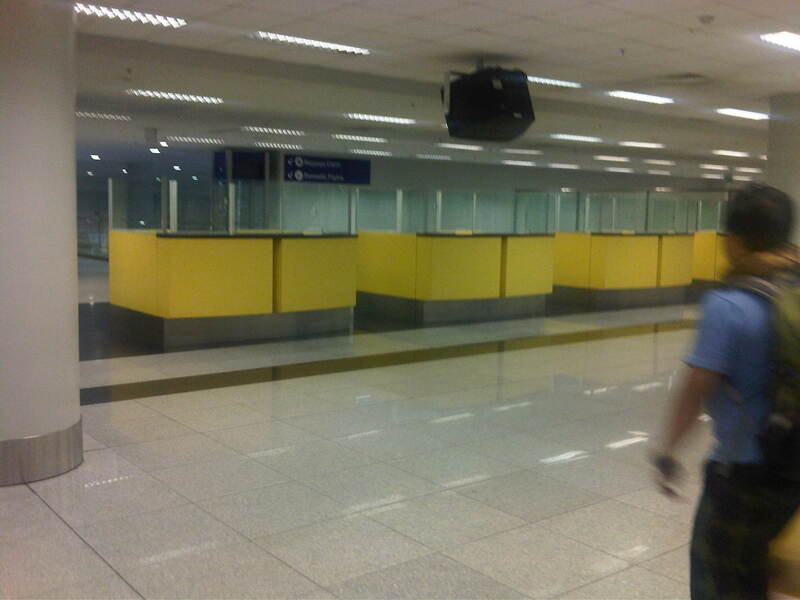 In certain cases such as the immigration and customs booths on the area designated for domestic operations, the equipment/furniture are not required at all. One common observation for most passengers using T3 is the non-use of the tube or air bridges by Cebu Pacific, which requires passengers to board and alight using the stairs and, in many cases, still require the same to climb back to the air bridge to walk to the arrival area! A common experience for domestic and international passengers is to board or deplane without the benefit of using the tube or airbridge of Terminal 3. This was apparently to shorten boarding and alighting time for faster turnarounds for Ceb PAc. I was to learn later that there also aren’t enough airbridge operators at the terminal. 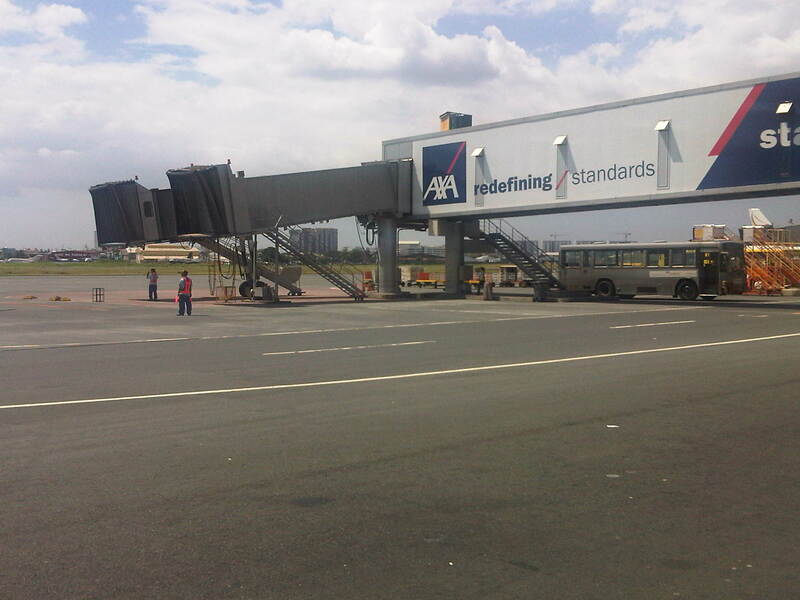 An inutile airbridge at Terminal 3. It seems these are not used by airlines for one reason or another – a definite disbenefit to passengers. 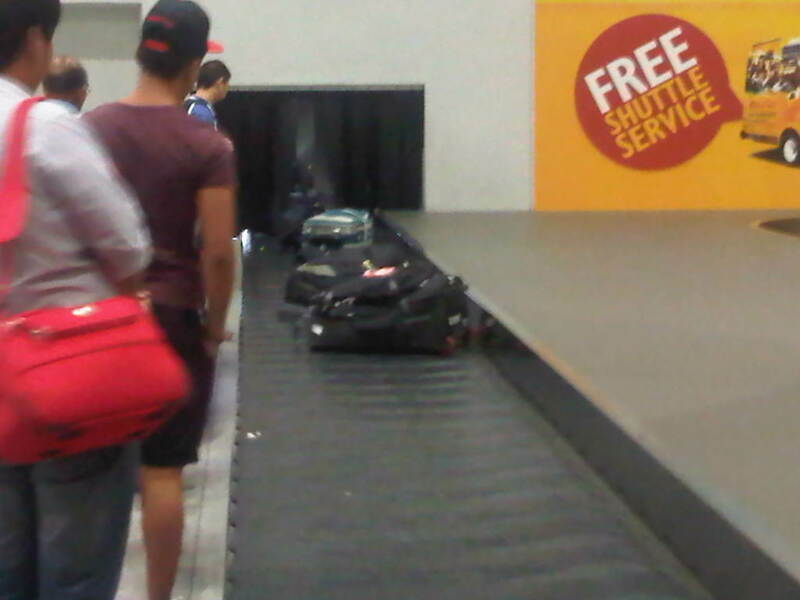 It’s a long walk from the tarmac to the baggage claim area. For passengers on international flights, they would have to go through immigration first after the long walk. Long hallways without the benefit of moving walkways are always an inconvenience to passengers, some of whom would probably require assistance. Of course, there are passengers who opt to cheat with their carry on allowance so one can say they should blame themselves when burdened with more than what is allowed for carry ons. Immigration booths on the domestic wing of T3 are unoccupied and probably should be reconsidered in case the airport will continue to be used for both domestic and international operations. 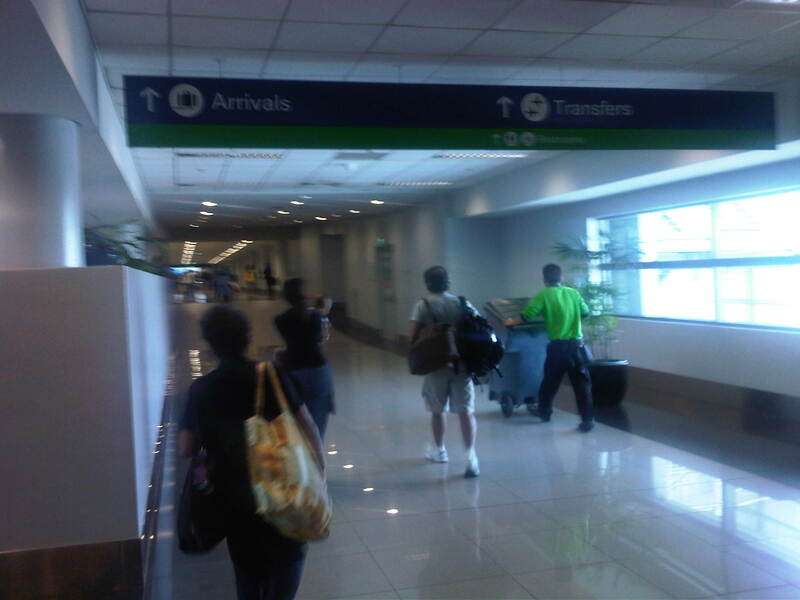 Past the immigration area, passengers would descend via stairs or escalator to the baggage claim area. Passengers waiting around the carousel – there was a time when one had to pay for the use of carts. Fortunately, that was scrapped during the last decade. 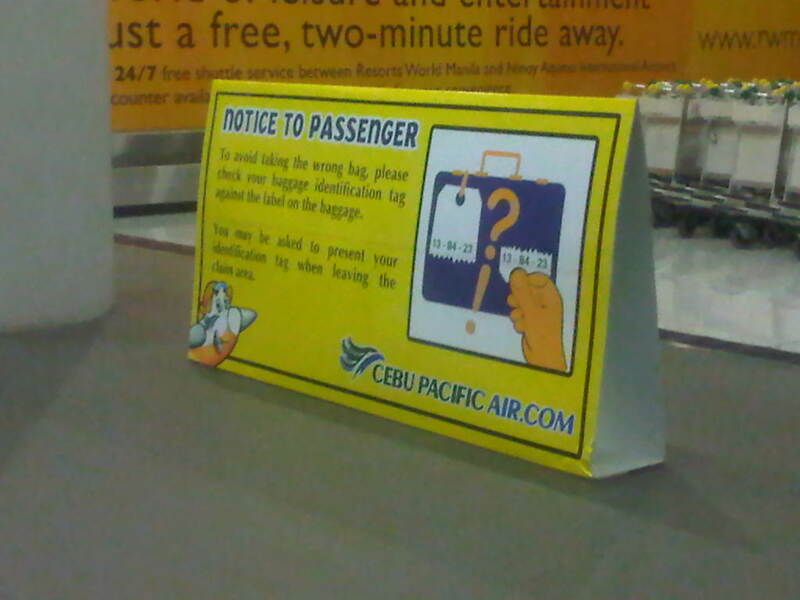 Notice to passengers picking up their baggage from the carousel. 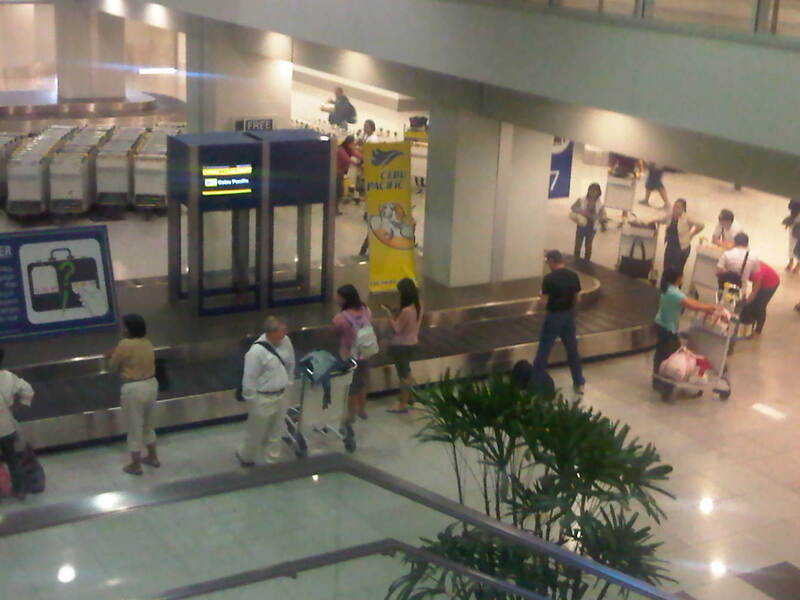 T3 personnel do not check the baggage tags when passengers exit the area. The same is true for T1. 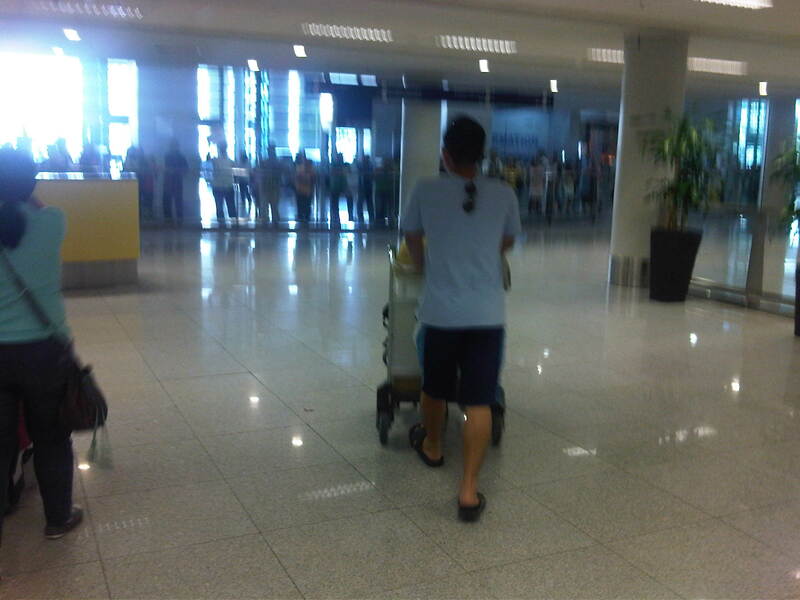 Only in T2 (Centennial Terminal) do staff strictly check baggage tags, minimizing the chances of one’s luggage being taken (mistakenly or otherwise) by other people. 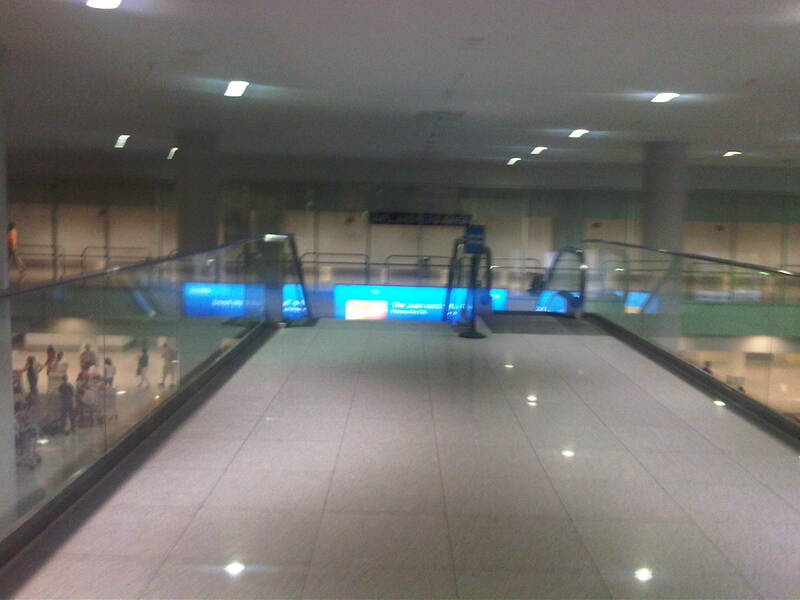 Spacious area for baggage claim – there are actually several carousels but airlines use only 1 or 2 carousels despite so many flights being handled by T3. 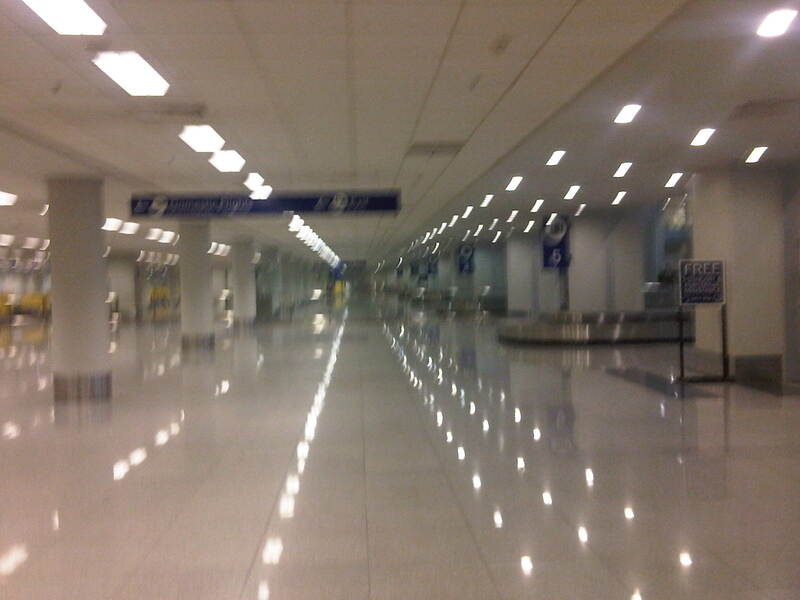 Since T3 was originally conceptualized as an international terminal, the wing used for domestic operations still have an area for customs operations. Like the immigration booths, these are unmanned and passengers just breeze through to exit the arrival/baggage claim area. 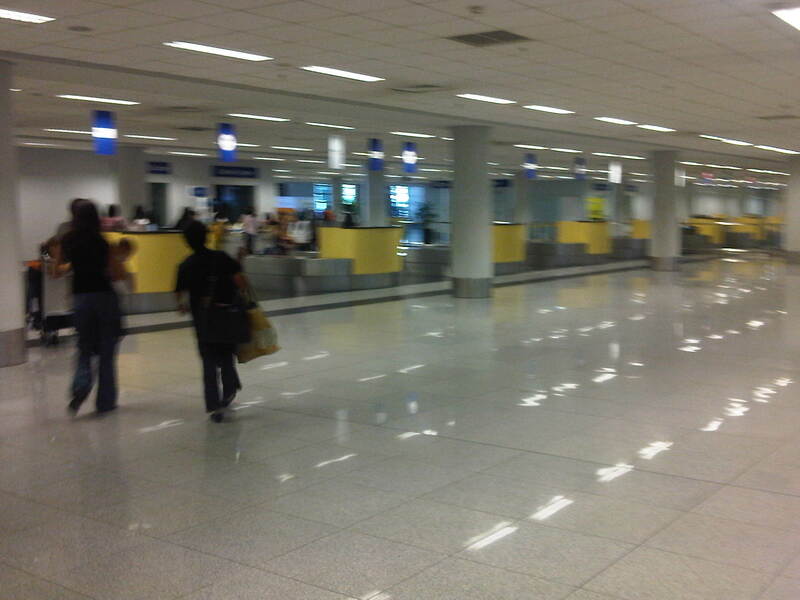 View for passengers exiting from the baggage claim and/or customs – one can easily see people waiting for arrivals, some with signs bearing names of persons they are meeting. 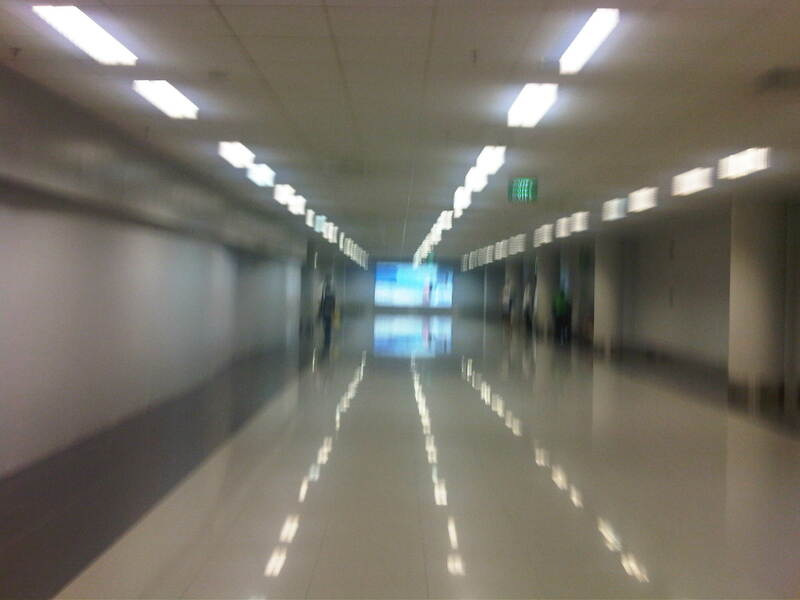 By d0ctrine in Airports on February 29, 2012 .